The spirit of last month’s Hackweek is still alive and well and it’s about time we review some of the projects from openSUSE’s Hackweek. The first project I want to highlight is the Google Hangouts killer – https://hackweek.suse.com/12/projects/832. 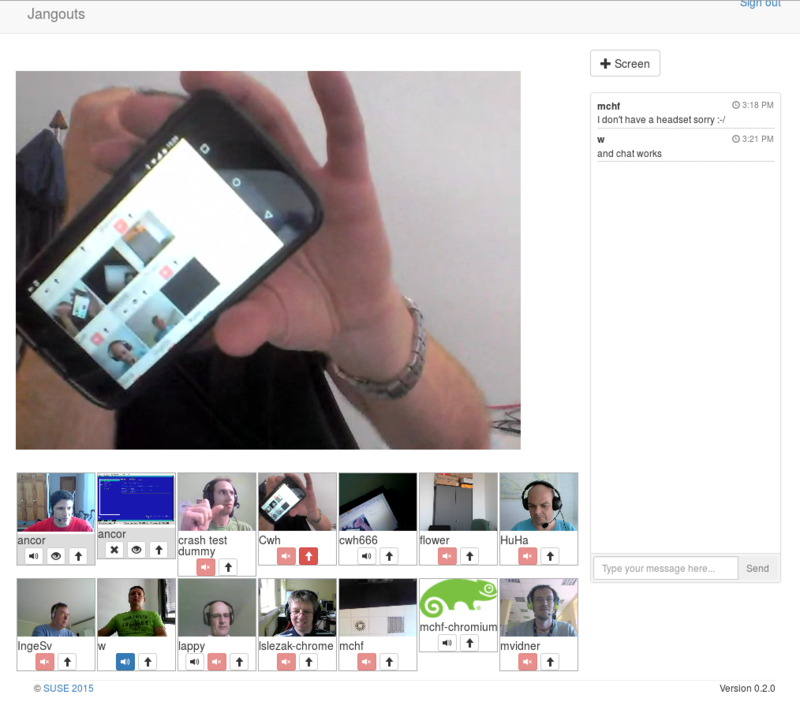 This WebRTC-based video conferencing system is still in its early stages of development and there are tweaks being made to move the project forward. Unlike Google Hangouts’ 10 person limitation, the project currently dubbed Jangouts exceeds that capacity limit. During the testing, 18 people attended the 25-person room limitation of 25. The latest test even worked on a mobile device. If anyone want to get involved with this project, join the #jangouts channel on Freenode. Jangouts is hosted on Amazon Elastic Compute Cloud (EC2), but donations of servers to the openSUSE project are always welcomed. Just email me at ddemaio@suse.de if you are interest is donating a server with 100 gb or more of RAM to the openSUSE project. The next project to highlight is Group Refactoring of OSEM – https://hackweek.suse.com/12/projects/838. This project made a huge difference for the openSUSE Conference we had in The Hague last week. Not only did the community clean up the code, the new look and capabilities are making it easier to view and schedule tracks. Presentations and videos of the presentation can now be combined under the presenters proposal. 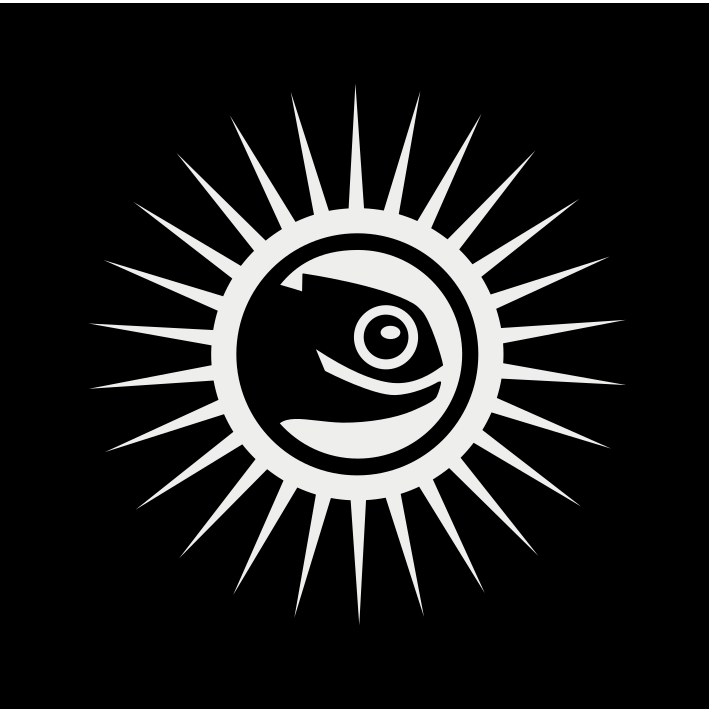 The project can be found at https://github.com/openSUSE/osem. Another project that was interesting to follow was Bare Metal OpenQA – https://hackweek.suse.com/12/projects/934 and More Bare Metal OpenQA – https://hackweek.suse.com/12/projects/896. Since OpenQA mostly runs on virtual machines, it can be difficult to find bugs triggered by real hardware. Interact with the HDMI, USB keyboard, CD-ROM and Remote Power Switching can be tough with automation, but where there is a will, there is a way. See the demo video and Code on a github branch. Hackerspace was available for anyone who wanted to hack at SUSE locations in Nuremberg, Germany; Prague, Czech Republic; Provo, Utah (USA); Taipei, Taiwan; and Beijing, China. Some people did come to one of the locations, but most hackers participated remotely. The “Black-on-Black” openSUSE Hackweek T-Shirt was a hit. We hope you got yours. Thank you to all who contributed. « May Madness – The Screenshot Contest Continues!